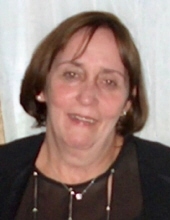 Kathleen G. (Duffey) Graham, 71, of Halifax passed away Friday, April 12, 2019 at the Beth Israel Deaconess Hospital – Plymouth. She was the wife of the late Daniel R. Graham. Born November 16, 1947 in Boston she was the daughter of the late John and Theresa (O’Leary) Duffey. Kathleen was raised in Southie, graduated from Mass Bay Community College and was employed at the Hale and Dorr Law firm in Boston. Retiring after many years. She was a longtime resident of Brockton. She enjoyed travelling and spending time with her loving family, especially her grandchildren. She is survived by her children; Matthew Graham and his wife Carly of Halifax and Nicole Arey and her husband Patrick also of Halifax; grandchildren, Kaila Duff, Caleb Graham, William Arey, Abigail Graham, Jack Arey and Nicholas Arey; a sister, Theresa Mattar and her husband Jim of Florida; brother and sister in laws, Maureen Capen, Michele Smith and Michael Morrissey. She was predeceased by a son, Daniel P. Graham, a sister, Patricia Earley; a brother, John Duffey; loving father and mother in laws, Robert and Theresa Morrissey and brother in law, Robert Morrissey. "Email Address" would like to share the life celebration of Kathleen Gertrude (Duffey) Graham. Click on the "link" to go to share a favorite memory or leave a condolence message for the family.